Actually the Bergerie du Loup is a grocery, probably the highest in Europe, selling its vegetables and fruits directly to the public. We have opted for an optimal culture with all respect for the environment. We follow the steps of our forefathers in continuing the ways of our ancestors while applying our own 30 years of experience in growing fruits and vegetables so that we also conform the requirements of today. This is heavily constructed with arched bearers so that it can withstand the load of the snow in winter. It is large enough (550m2) to grow all the vegetables we need and that need protection against frost that can occur even in summer. Like: tomatoes, aubergines, peppers, courgettes, melons, cucumbers, peas, salad, radices, celery and the like. Thanks to the sunny conditions and the quality of the soil, crops are abundant and have an excellent taste. About 1.2 acres in size, it is used to grow those vegetables that can be kept during winter in our cellar in the traditional fashion. Potatoes (Mona Lisa and Ratte), pears, cabbage, onions, carrots, turnips and beetroots. 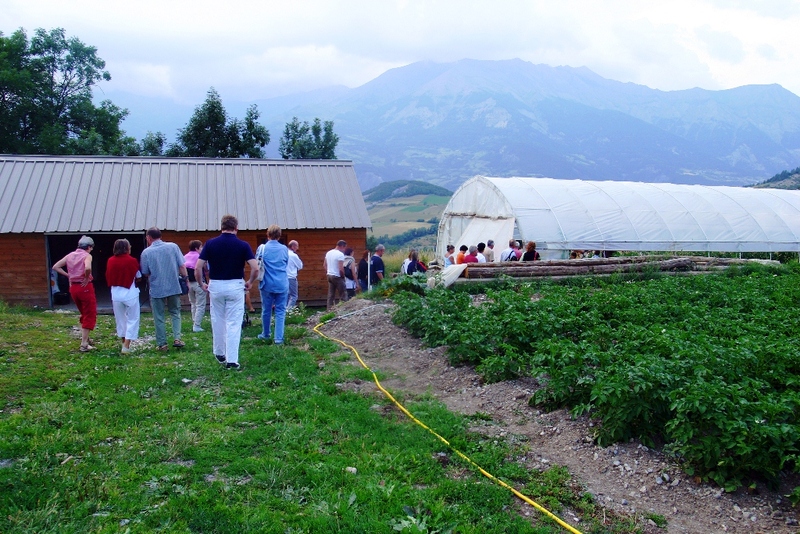 Also the red fruits are grown there, strawberries, raspberries, bilberries and blackberries that grow here to an exceptional quality.